... I forgot to dedicate the proper space here to announce the launch of the brand new WOODLAND PAPERCUTS etsy shop! The link has been added to the sidebar, which reminds me I need arrange proper shop buttons. 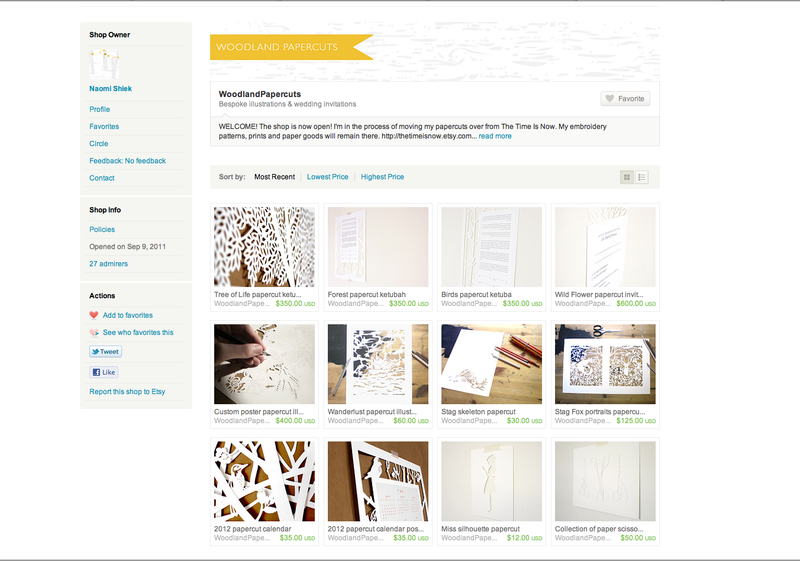 Nevertheless, the shop opened to little fanfare earlier this month, and you can now find there my papercut illustrations, as well as a small taste from my Wedding shop (for those less inclined to step outside of etsy).